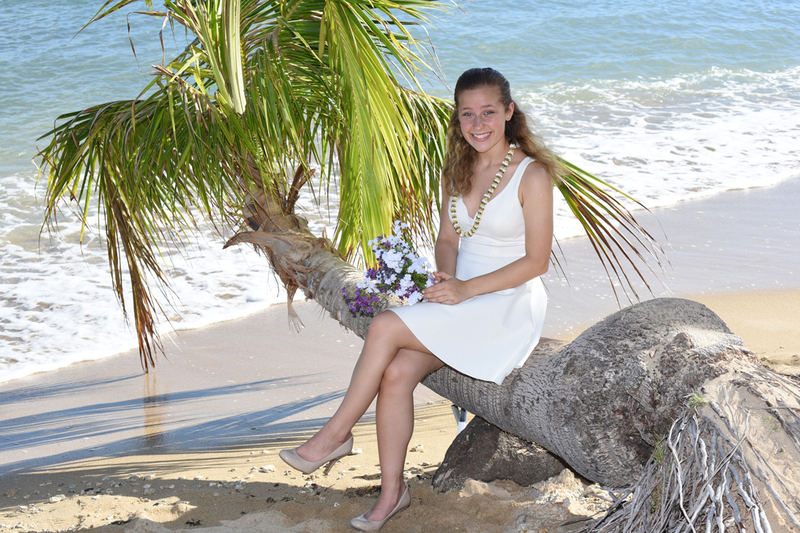 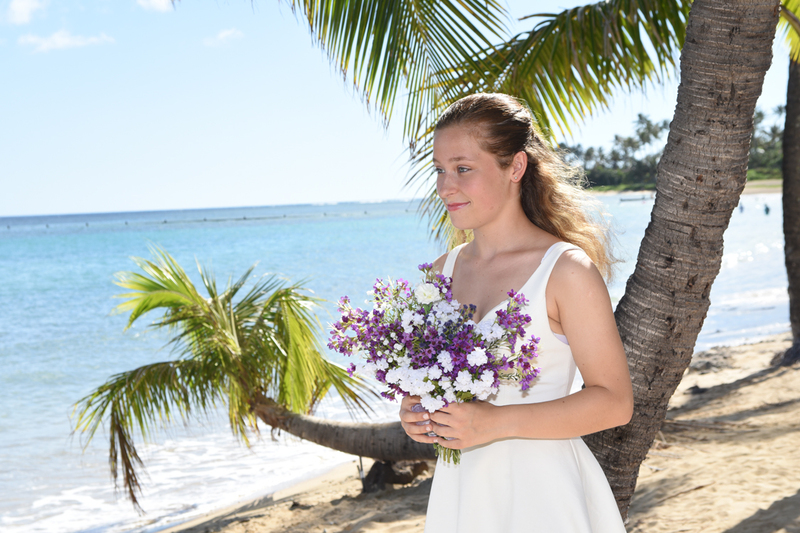 Charming daughter of the Bride holds Mom's flower bouquet. Is she a Bridesmaid or a Flower girl? 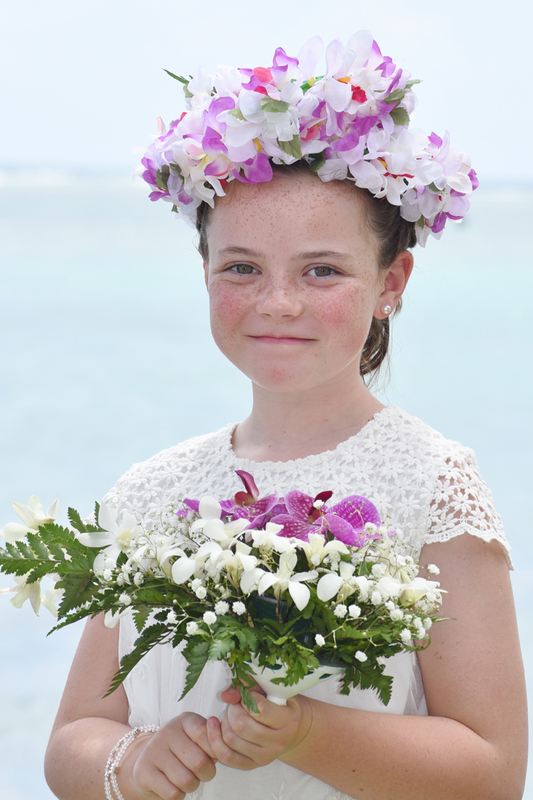 Well, anyway, she makes a good model for our Hawaii Flowers blog!